Troubleshooting a graphics card can be difficult at times, especially for users who are new to graphics cards. 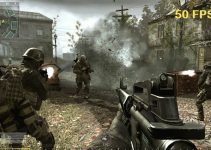 Graphics card is a powerful component of a PC and is used for gaming and professional work. Generally users don’t face problems with graphics card but there are some things that can go wrong with graphics card directly or indirectly. In this post I am going to discuss all the major problems that you can face with Nvidia or AMD graphics card. 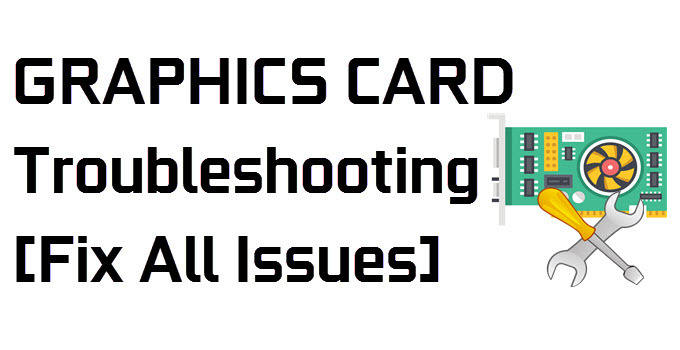 Also I am going to tell you how you can fix or troubleshoot graphics card. Here are the various problems and their solutions for Nvidia or AMD graphics cards. This is one the most common problems faced by graphics card users. In this problem, your graphics card fails to get detected either at the beginning i.e when you turn ON your PC or during Windows startup. If your graphics card is not getting detected at POST then you either get a black screen or BIOS may throw beep codes indicating the problem. And if your graphics card is not recognized in the Windows or OS then you will not be able to change the resolution and refresh rate to higher levels. Also you will face issues with other softwares or applications too. If you are getting unusual low performance or lower GPU utilization from your graphics card then there are some major factors involved that can be causing this issue. Here are the various things to look for to address this issue. Check Power Supply – First thing to do is to check whether your power supply (PSU) is working to its capacity and providing sufficient power to your graphics card and other components. If you power supply is not working normally then it must be delivering lesser power to your graphics card and will be causing low performance output of your graphics card. You can check the power supply output using a good multimeter. If your power supply is bad then you must change it immediately to avoid any further problems with your graphics card or other computer components. Check 6-pin & 8-pin PCIe Connectors – If your graphics card requires 6-pin / 8-pin PCIe power connectors then make sure that all the power connectors are connected to graphics card from the PSU. If the PCIe power connectors are not connected or are not connected properly then your graphics card will not perform to its full potential and thus you will get reduced performance in games and other graphics related applications. Check Video Drivers – Install the latest video drivers for getting best performance in latest games. If you are getting low performance from the latest video card drivers then you can uninstall the latest video drivers and roll back to the previous one until a newer or more updated graphics card driver is released by the GPU manufacturer. If you are getting Blue Screen of Death (BSOD) due to graphics card then you may want to change your video card drivers or perform a GPU BIOS update of your graphics card. You can go through the link given below and know about the various GPU BIOS tools and learn about how to update the BIOS of your video card. If your computer is booting fine but you are not getting any display then you may want to check out the display cable. Make sure that the display cable is working fine and is properly connected to display ports on the graphics card and the monitor. If the display cable is faulty then get a new high quality branded video cable for your graphics card. Dust – Dust can get into the heat sink fins and can cause decreased heat dissipation or heat transfer. Also dust can stick to the graphics card cooler fan blades which decreases its RPM and it will not rotate to its full potential. This can cause increase in the temperature of graphics card components whether it is GPU, VRM or VRM. Here what you can do is to remove the dust from the heat sink and fan by using a air blower and an anti-static brush. Low Fan RPM – If your fan is spinning at lower RPM even at high loads then there is something wrong with the fan throttling system of your graphics card. Here you can either use a good graphics card overclocking utility to manually set the fan speed to maximum (from auto) all the time, and you can also try to update your graphics card BIOS to fix this issue. Faulty Fan – A faulty fan is another major cause of overheating of your graphics card. To fix the faulty fan you have to buy a new fan for your graphics card. 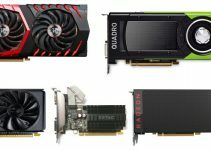 You may also contact your graphics card manufacturer if you could not find the required fan in the market or on online shopping sites. However, if your graphics card fan is not spinning due to any other reason, then you can check this GPU fan not spinning guide. 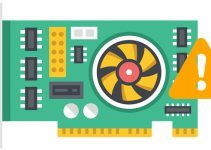 Overclocking – If you have overclocked the graphics card beyond its cooling capacity then it does heat up your graphics card major components. Here you can either lower your overclock or get a better cooler for your graphics card. Thermal Paste – Over the time thermal paste between the GPU (and other components) gets burnt out. This will cause an improper contact between the surface of heatsink and GPU, thus reducing the thermal transfer and causing the temperature to rise. Here you can remove the heatsink, clean and remove the older thermal paste, apply a good quality thermal paste and then put the heatsink back on it. For thermal paste, I recommend Arctic Silver 5. If you are unable to update or uninstall your graphics card video driver then you can use a tool called Display Driver Uninstaller (DDU). DDU is small tool / utility that is used to completely remove Nvidia or AMD graphics card driver from your windows computer so that you can install the newer drivers without any issues. You can read more about DDU from the link given below. If your voltage is locked in your GPU BIOS and you are not able to overclock your graphics card further or increase the voltage for stability then you can update to change your GPU BIOS to resolve this issue. You can also modify the BIOS or can get modified BIOS from the internet and then flash it on your graphics card. See also: How to know which graphics card you have? If you are still facing some strange issue with your graphics card then you can contact me by leaving a comment below clearing stating your problem or issue. I will try my best to help you out and fix your graphics card problem. I thought it might be a power supply so I bought a 500W PSU, soon later I changed my mobo, processor and ram. although I install the latest driver I don’t get optimal performance either it crashes or BSOD. Recently I noticed the GPU is overheating, so I need some suggestion from your side. I suggest you to change the thermal paste on the GPU by removing the heatsink. For thermal paste, I recommend Arctic MX-4.